Many people in areas with harsh storms know that a generator can make them more comfortable when the power goes out, but do not consider it worth the money. However, what these people do not know is that sometimes, a generator can be the difference between life or death. During long outages, having a generator and fuel on site can even save money! 1. Power outages pose many safety threats. Trying to get around in the dark with candles during a power outage is a leading cause of home fires. There are plenty of reasons that the ability to generate electricity can be the difference between life and injury or death in an extended power outage. 2. Having a generator on hand can also often let you access the internet, which can be a lot of help in a disaster. Storm will often knock out power but not internet, so if you can get your modem powered, you may be able to get online. The internet will provide news coverage about the disaster you are experiencing, including information on where and when aid is available, and whether there are any further disasters on the way. Information like this can save your and your family’s life, if you can access it. 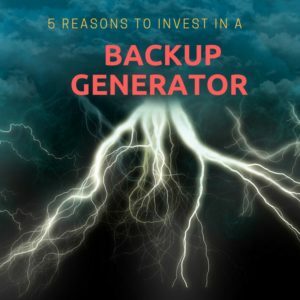 For people who can submit work via the internet, a generator could even allow you to continue working during a power outage, which could easily pay off the cost of the generator in one storm. 3. Generators can even end up saving you some money and even let you end up ahead compared to not buying the generator. In some cases, damage is caused by the storm that can be repaired or mitigated with power tools. The ability to use power tools to shore up weaknesses in your home during a storm could be the difference between, for example, buying a new window or thousands of dollars of water damage. 4. If you have a well stocked freezer, being able to keep it running could save hundreds of dollars worth of food from spoiling. If getting to a grocery store is made difficult, the refrigerator not working may mean there is not enough food to last out the storm. 5. Having a generator during an emergency won’t just help you, either. Being the one with a generator during a power outage can mean that you are the neighborhood hero. Neighbors can come over and charge their phones, put frozen food in your freezer, or find out about evacuation routes, aid, or future disaster warnings. Your generator might not just save your family, but all your neighbors too. In a pinch, this could also mean that you can barter some electricity for something else you need, like food or water. 6. Stay warm. Many modern homes don’t have real fireplaces to burn a fire. If the storm is coming during winter, you’ll be able to run a heater to stay warm and keep your children and pets safe. This is especially important if roads are blocked and you aren’t able to get to a hotel that might have a backup generator. While many people consider generators an unnecessary luxury for power outages, they can be so much more than that. Generators keep your house lit, safe, and stocked with food, with can save your life or property. They also can keep you connected to the outside world, which means you may learn about aid, evacuations, or other key information to keep yourself and your family safe. 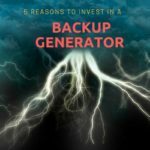 Generators last a long time, so all of these benefits can add up over time. Most people who purchase a generator for emergencies find that over the course of its life it easily saved the amount it cost, in addition to providing comfort and security. Over time, a generator can even pay for itself! If you live in an area that experiences power outages, consider getting hiring a professional electrician to install a backup generator today. For more information and product research, see Best Selling Generators on Amazon . The Great Depression of the 1920s exists as only images for many of us alive today. We have often seen the grainy photos of bread lines. It has seemed so unlikely that it would ever happen again that we forgot to consider how to prepare for a depression until we were faced with the near-economic collapse of 2008. We got so close to the brink that we are faced with thinking about how to survive economic depression. We all must have a plan on how to prepare for a depression. How would your family survive economic collapse? To survive an economic collapse you must take into consideration the potential loss of a currency. The latest events in Greece make real the possibility of bank runs and the likely event of being cut off from our cash. Even if you could get money out of the ATM, will it be worth anything? 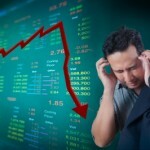 Currency collapse, in the midst of depression, is a real possibility. This could leave you without money when you desperately need it. Your credit cards will no longer work. You can plan for this by having your assets spread out among multiple currencies. Diversification of your investments with an emphasis on precious metals is one choice. Gold and silver will always be valuable. Keeping gold and silver coins on hand for an emergency just makes sense. 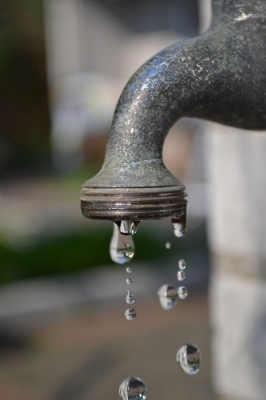 Finding food, fuel, and water is one of the keys of how you survive an economic collapse. The ideal scenario would be to have a stockpile stored safely in your home. There are many types of food that are ideal for storing. You can also consider investing in chickens for an egg source. Old-fashioned gardening and canning is making a comeback and can save your family if the worst happens. Storing batteries, light sources, and solar equipment is vital. An adequate supply of medical items is also important. When you are making a plan on how to survive economic depression you cannot neglect the importance of bartering. As long as you have items of value, you can trade them. This old system of trade will never collapse. 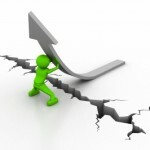 When you prepare for bartering, currency issues, and food shortages, you are heading down the right path toward a solid plan to survive economic collapse. When crisis happens, there is no time left to prepare. The more you can do ahead of time, the more comfortable you will be when an emergency or disaster takes place. This post will help you plan for emergency from a number of different angles, provide a checklist for emergency situations, and layout some survival strategies for personal security considerations during disasters.